Grill like an Italian: go gourmet HAMBURGER crazy! Many of you will be surprised to learn that Italians have gone HAMBURGER CRAZY! Over the course of the last two years, scores of hamburger-themed restaurants have appeared across Italy, from Milan to Rome and beyond. And Italian food bloggers join in the fun by rating and ranking the many different restaurants where they’re now serving all-American burgers, sharing recipes, and bragging about the “best hamburgers” they’ve ever eaten. The fad is so popular, in fact, that you’ll often hear Italians use the English bacon when they order their “bacon cheeseburgers” (“amburgher con formaggio e bacon”)! 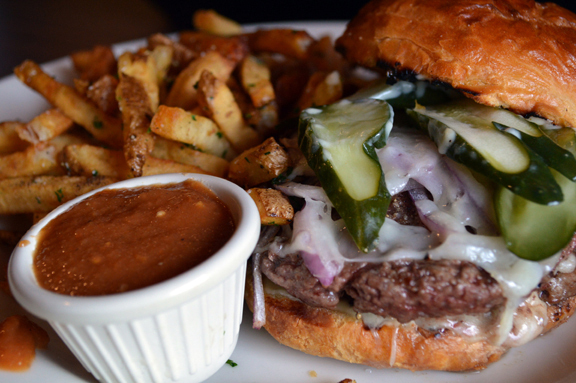 Here at Live Like an Italian, we’re already planning our all-American burger Labor Day menu. 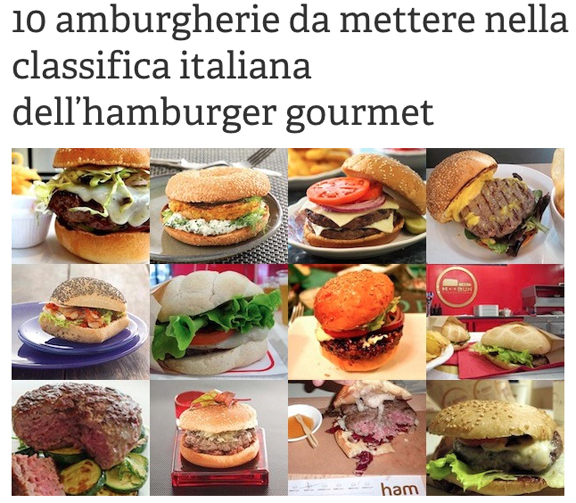 Above: Italian food bloggers love to rate and rank their gourmet hamburgers! There’s probably no wine that pairs better with hamburgers than the Mazzoni Piemonte Barbera: it’s bright, fresh, and lively in the glass and it’s also a wine that Italians like to chill during the summer. Here’s our Labor Day grilling menu wine pairing tip: put your bottle of Mazzoni Piemonte Barbera in the fridge the night before your Labor Day bash; take it out of the fridge about 20 minutes before you plan to serve it to your guests; it will be just the right temperature (chilled but not so cold that it will mask the juicy, delicious flavors of the wine). Please click here to read more about this fantastic wine for pairing with hamburgers this Labor Day! This entry was posted on August 28, 2014 by Terlato Media. It was filed under LIVE LIKE AN ITALIAN .